Have you heard? Shots aren’t just for children anymore. Even as the controversy rages over whether parents should vaccinate their babies and toddlers, many doctors are now advising grandparents to get their shots. If you’re thinking that you’re too old, well, think again. Ditto for the idea that you’re in good health or see your doctor regularly. And it seems that even if you’ve had some of these vaccines (or the actual disease) as a child, you may still need the booster. Many childhood diseases that were once very common are now almost entirely wiped out. But with more parents opting out of the vaccine for their little ones, a few of these diseases have started to make a comeback – which is why the more people that are protected against the diseases, the better. But doesn’t the vaccine that you had long loooong ago, cover you now? Well, maybe not, according to the CDC. Apparently, that protection can and does wear off. Who knew? Since babies younger than 6 months aren’t fully vaccinated yet, they are the most susceptible to these diseases. And one of the most important vaccines that grandparents can get, according to the CDC, is Tdap. 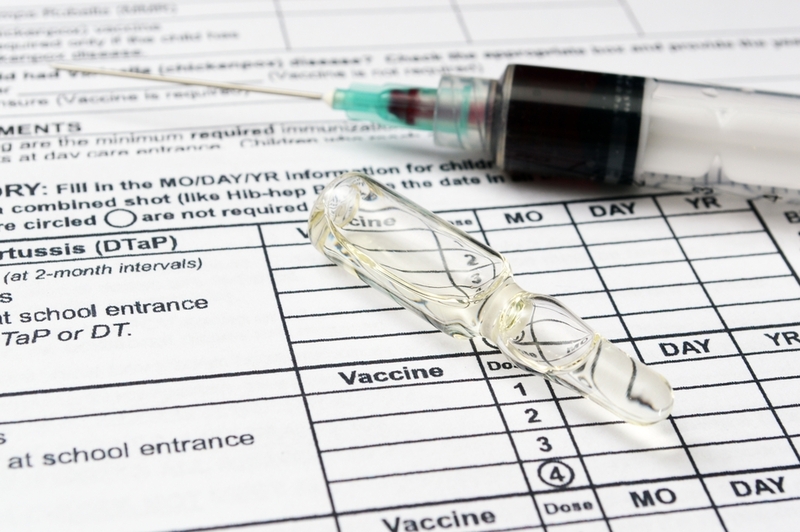 Tdap stands for tetanus, diphtheria and pertussis (otherwise known as whooping cough). While less common than it once was, whooping cough is still making the rounds these days – and it can be life threatening for a baby. Ironically, adults often get a mild case of pertussis and don’t even realize they have anything more than a cold. But if they pass it on to the grandkids, it can be serious. In fact, half of the babies that contract whooping cough will end up in the hospital. So if you’re an older adult who’s a grandparent or is soon to be a grandparent, the CDC recommends that you get your Tdap booster at least two weeks before you see the baby. And the need for vaccine boosters doesn’t stop with grandparents. The same goes for all older relatives, neighbors, friends, daycare workers and other adults who have regular close contact with children. So here’s a look at the top shots for seniors. Tdap – Now that you know what it is and why you need it, it’s time to roll up your sleeve! Get the shot in place of your 10-year tetanus booster if you plan to be around children. MMR (measles mumps and rubella) – These were the Big 3 childhood diseases when today’s seniors were infants. Mumps and rubella are rare, but measles is still cropping up – and it’s nothing to fool around with. Complications can range from pneumonia to brain damage. Get the shot if you were born after 1957 and have never had measles. The CDC believes those born prior to 1957 are immune from the disease. Shingles – A close – and very painful cousin – of chicken pox, the disease can affect anyone who has ever had chicken pox because the virus remains in your system. And then exposure to adults with shingles can cause kids to contract chicken pox. Get the shot if you’re 60 or older (for your own well-being as well as your grandchildren’s). Pneumonia – In the U.S., pneumonia sends more than a million people to the hospital each year. And those most affected? Children under five and seniors over 65. So the vaccine does double duty – guarding you both. Get the shot if you’re 65 or older, or are younger but have other health concerns such as heart disease, cancer, or an autoimmune disease. The Flu – Influenza, that is. (Unfortunately, there’s no shot at this time that can protect us from that nasty 24-hour stomach bug!) While influenza deaths affect older adults much more than any other demographic, children are the next most vulnerable – especially infants under 6 months, who are too young for a flu vaccine. Get the shot – to protect you and the kidlets. So here’s the idea behind shots for grandparents -- if you keep yourself from getting sick, you can’t spread the disease to anyone else. And staying healthy gives you more time to enjoy with those little ones. 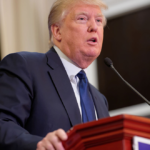 Trump’s Running Mate — Who Will It Be?